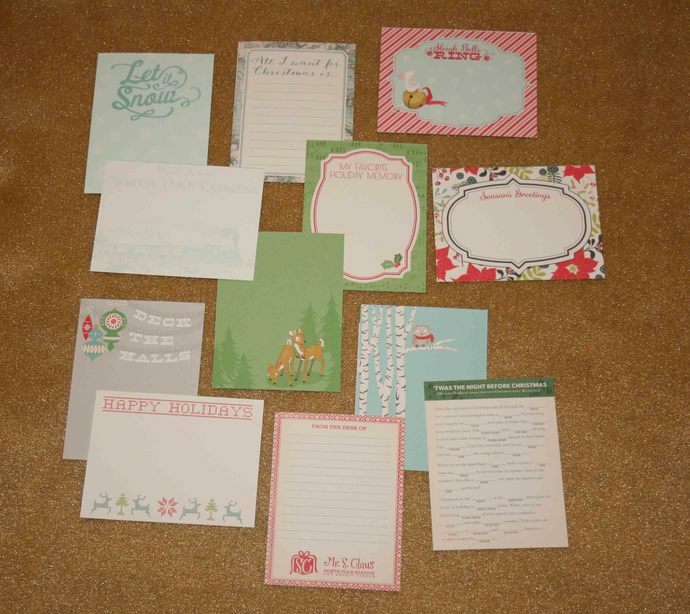 These cards work well in December daily, mini albums, greeting cards and any Christmas crafting. The cards are double sided with a Christmas type pattern on back. Each card is 3" x 4".